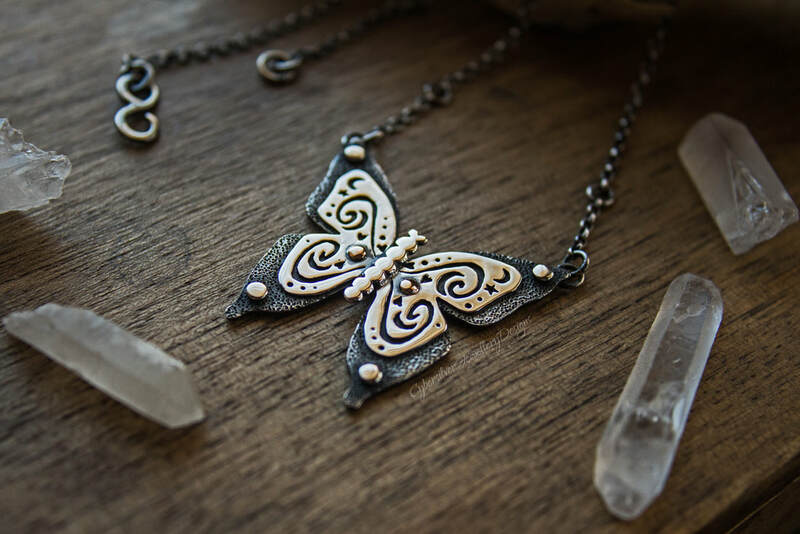 The butterfly's capacity for change, transformation and growth have made it an obvious subject of magical folklore and legend in many cultures. 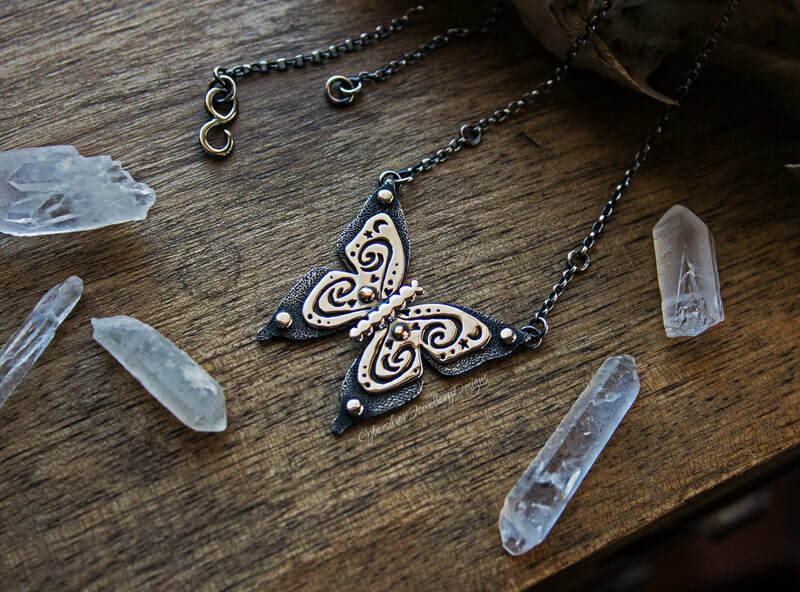 Since ancient times, the fluttering butterfly has been seen as a symbol for the human soul. The Egyptians believed that they were just one of the ways the human soul was immortalised, and Aristotle referred to them as 'psyche', the Greek word for soul. In various Native American mythology, butterflies also symbolize the human spirit. Some tribes believe that the butterfly is able to take wishes up to the "Great Spirit". 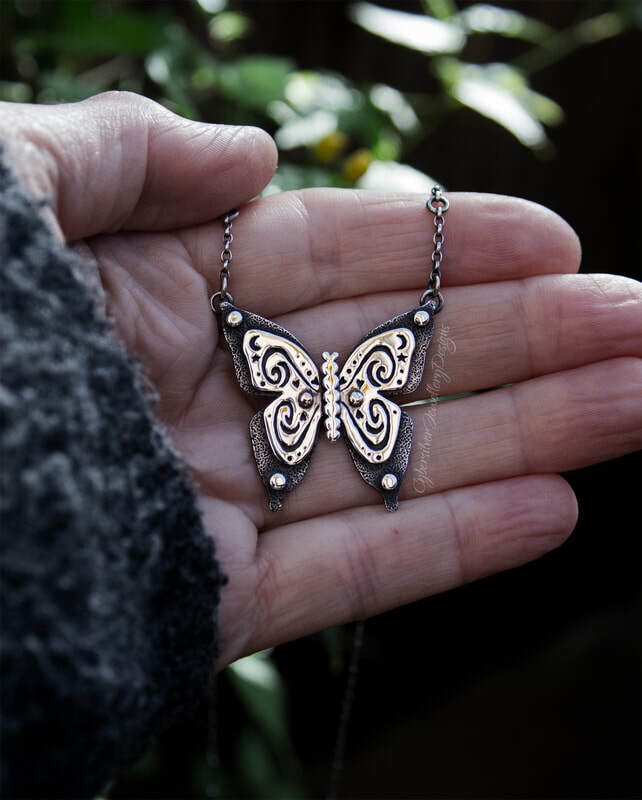 Others believe that butterflies can be an omen that something of significance will soon occur in one's life - a symbol for personal growth and spiritual rebirth. 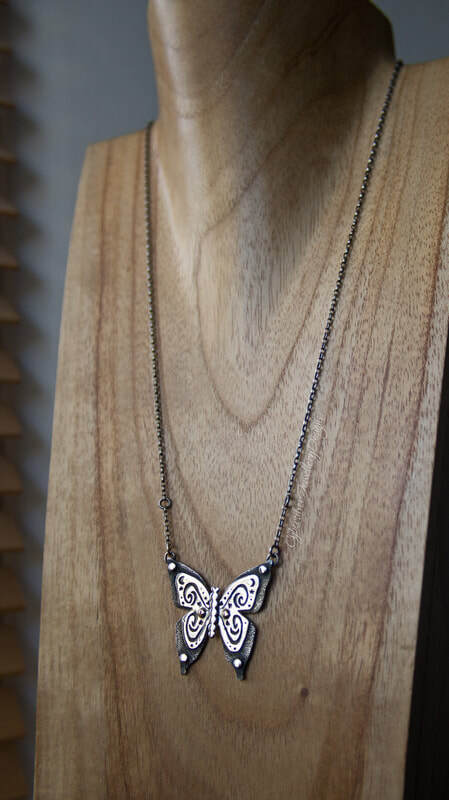 This stunning butterfly necklace is created from layers of sterling silver. The background layer is heavily textured and oxidised, which contrasts against the highly polished layer. This layer has been meticulously hand pierced with hearts, crescent moons and flowing scroll-like details. On either side of the butterfly's body sits a 9 carat yellow gold 'bead'. These beads are echoed in the four silver beads positioned at the tips of the wings. The sterling silver chain is detailed with two rings and features a handmade fixing. 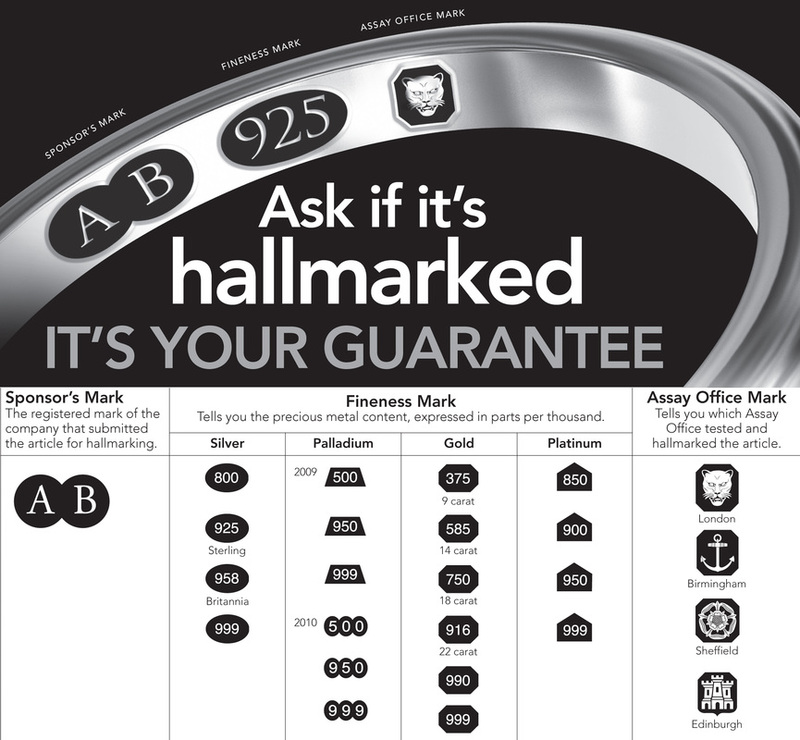 All jump rings are soldered securely. 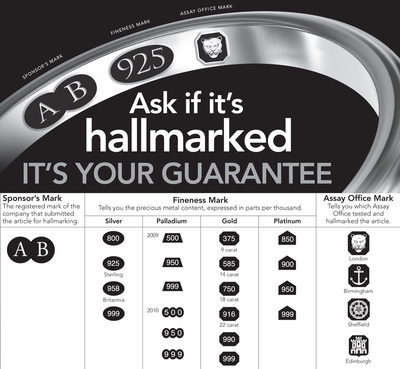 Carries my makers mark and Goldsmiths Assay hallmarks. Your necklace will come gift boxed- perfect for giving.